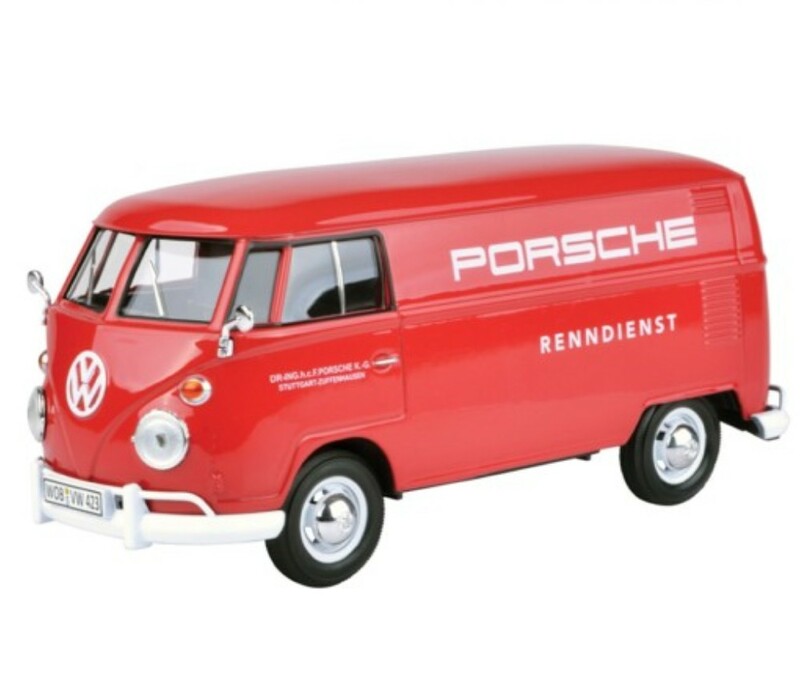 1:24 scale Volkswagen Type 2 (T1) - Delivery Van printed with Porsche logo die cast model car by Motormax. Opening doors and free wheeling. Package: Individually packed in a window box WB. 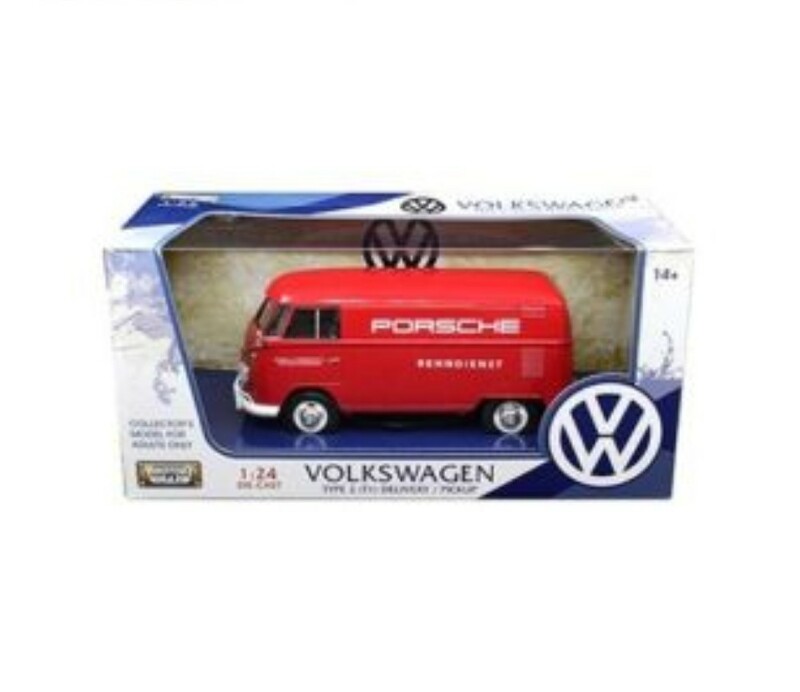 Box size: 9.75"Lx 4.5"Wx 4"H. 6pcs/Carton.